We hope you will find the following questions, and the answers, helpful. What about after hours treatment? Do you undertake teeth whitening and how much is it? Can I park near the dental practice? We would recommend you phone the numbers above for NHS Direct or the Emergency Helpline. They will be able to advise you on the best course of action. 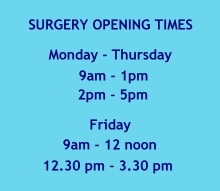 We do provide a private out of hours service at the weekends. This incurs a fee of £115. Any treatment is an additional cost. The number to phone for this private service is 07535 877588. We are primarily an NHS dentist and provide a full range of treatments under the Government’s contract. Where the treatment does not exist on the NHS or if the patient specifically requests a different treatment we do provide certain treatments on a private basis. These ‘private’ treatments are clearly outlined from our services page sub menu. We currently have spare capacity to take on new patients on a NHS basis. Please contact us on 01626 863499 to register. Yes, we offer ‘zoom’ teeth whitening which is more effective than those you can buy over the counter and helps people to feel more confident about their smile. See ‘Cosmetic Dentistry page’ for more information. 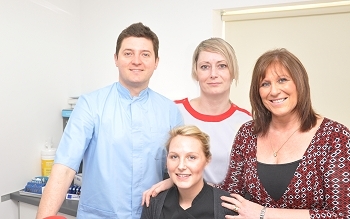 In the very unlikely event that you are not happy with your treatment at Diplomat Dental, it is essential that you talk to our Practice Manager, Tracie Bell. She will make a full note of your concerns and, if she is unable to resolve the matter, she will ensure that the dentists are informed. We guarantee to acknowledge your complaint in writing within three working days of receiving it. The matter will then be investigated internally and we will give you a response within 10 working days. There is some parking just outside the surgery on Dawlish Business Park. Waiting time can vary but generally we should be able to see you within one month. Our healthcare plan recommends that you be seen regularly every 6 months for a thorough check up and scale and polish – to catch potential problems.